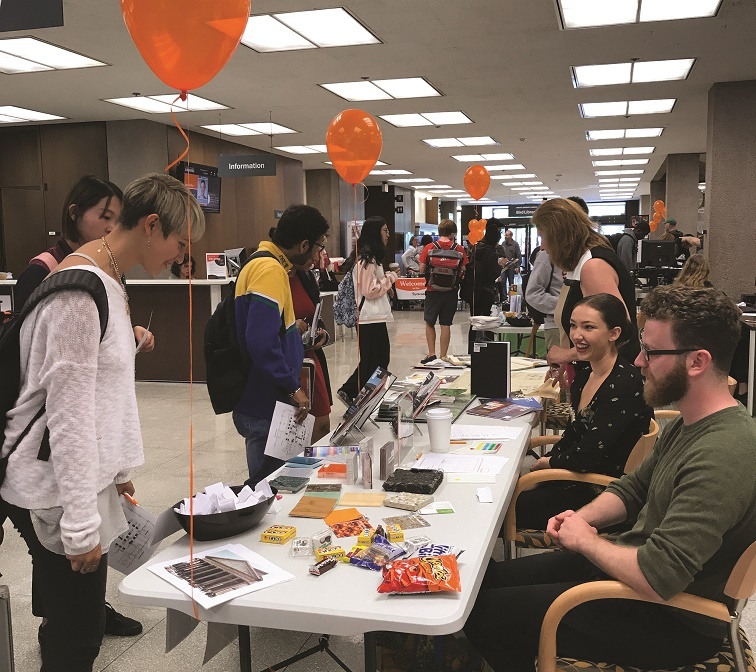 The Syracuse University Libraries invite all students, faculty and staff to a Welcome Fest on Thursday, Aug. 30, from 11 a.m.–3 p.m. on the first floor of Bird Library. The event will feature resources and services the libraries provide to support teaching, learning and research across campus, as well as games, prizes, snacks, a photo booth, therapy dogs and visits from Otto. Treasures held by Special Collections and University Archives. A number of partner organizations are also participating this year: the Center for Learning and Student Success, Digital Scholarship Space, Petit Branch of the Onondaga County Public Library, Orange SUccess, Parking and Transit Services, Public Safety, SU Makerspace, Blackstone LaunchPad, and more. See the pictures from last year’s event at: flickr.com/photos/syracuselearningcommons/albums/7215768551003220. For more information, contact us at libref@syr.edu.